Hsinchu, TAIWAN: Recognizing the socio-political and cultural realities facing Taiwan, including its international status, forty ecumenical youth from Asia, Pacific and Europe have called on the wider Church community to assert Taiwan’s independence as an independence, and to express solidarity with the Taiwanese people and their suffering. They also called on the churches and ecumenical organizations to increase the number of opportunities for exchange programs and missions to raise awareness about the issues and concerns in Taiwan. The young people, who gathered here on 27 November to attend Taiwan Ecumenical Forum (TEF) pre-youth meeting challenged the churches, including the PCT, to listen to and act upon the prophetic voices of young people with regard to their radical solidarity with the people facing racial, religious, socio-economic, sexual, and gender-based discrimination. The youth expressed sympathy and concern for the Taiwanese people’s desire to be recognized as Taiwanese people with their own national identity. 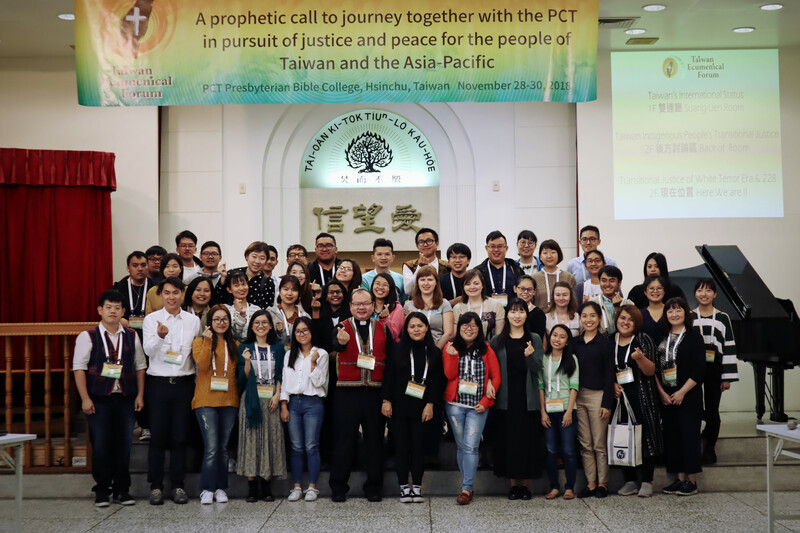 “We encourage indigenous peoples of Taiwan to come together, to allow a stronger and more powerful impact in the transitional justice process,” they said in an Ecumenical Youth Declaration. The youth expressed their desire to promote education to change every nation’s perspective towards indigenous peoples and their ways of life of. The declaration advocated for safe spaces in churches, communities and societies for everyone to peacefully discuss issues concerning peace and justice.